So while the American movie industry is spewing out sequels, remakes, reboots and/or other vacuous works of unoriginality, at least our friends overseas are attempting to create original ideas. 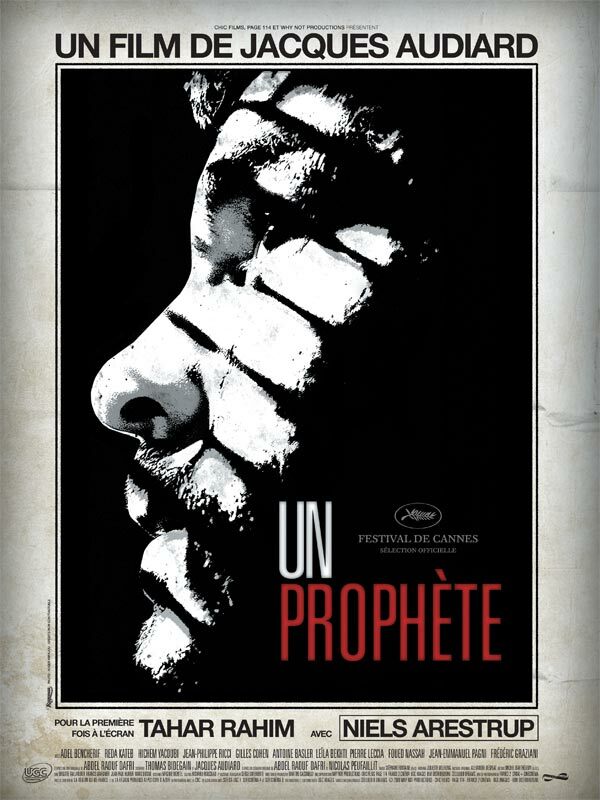 Un Prophète (or A Prophet) is a 2009 French made film that garnered much accolades and success. Not only was it nominated for the best Foreign Language Film at this year's Academy Awards, but it also won the Grand Prix award at last year's Cannes Film Festival. The film tells of a young miscreant named Malik who is thrown into a French prison for some unmentioned petty crime. As a French born Arab, he has difficulty with the French as well as the rising Arab inmates. Realizing that the Corsican gang holds all the power in the prison, he begins to connect with this group of convicts, led by their elderly leader, Luciani. But before he is accepted by the gang, Malik has to kill a fellow inmate. He complies with his duties and is soon part of the 'in crowd' at the prison. But Malik is no ordinary prisoner. Every now and then he receives prophetic messages from the very man that he killed, and it's with this little secret that is responsible for his rise in power both in and outside of prison. This was an incredible movie. Tahir Rahim as Malik does an astounding job of portraying this young man who evolves into this criminal mastermind. It is such a stark contrast from the boy we see at the beginning of the movie to the man at the end and Rahim does a great job of transforming himself. Nearly the entire movie sticks with Malik, so the success of the movie really hinged on Rahim's performance. The story is interesting in that at the end, it's somewhat of a happy ending, but because it involves criminals, it's only "happy" given the perspectives of the characters. There is a lot of betrayal and allegiances made throughout the movie and at first, it seemed a bit daunting connecting together everything that was going on. I was afraid that I was losing something in the translation. But after careful contemplation it made complete sense every move that was made. It was a crafty little story. The only one thing that bothered me was the idea that he was a prophet. Really, the prophetic scenes were few and far in between. I think I would have liked it more had they expanded on the whole idea of prophesying. And to add to that, a bunch of the prophetic messages seemed more like entertainment for Malik rather than anything useful for his life. It's still a great movie and worthy of the pantheon of awards that it garnered. As the summer movie season is winding down, it wouldn't hurt to check it out! Til next time, later geeks!